Dr Femi John Fawole was born at Abeokuta, Ogun State on 5th May, 1981. He attended Baptist Day Primary School, Ikire, Osun State; N.U.D. Grammar School Obantoko Abeokuta, and Salawu Abiola Comprehensive High School, Abeokuta, Ogun State for his secondary education. He later proceeded to Federal College of Animal Health and Production Technology, Moor Plantation, Ibadan and Federal University of Technology, Akure for his National Diploma and Bachelor’s degree program. Similarly, he attended India Premier Fisheries University (ICAR-Central Institute of Fisheries Education, Mumbai, India) for his Master and PhD degrees. Dr Fawole is a recipient of several awards/scholarships including Mwalimu Nyerere Indo-African Scholarship Award, Alltech Young Scientist Award, TWAS/BVA Alexandrina travel grants, British Council Nigeria Innovation 3600 Award. He is a specialist in Fish Nutrition and Biochemistry. Before joining the service of University of Ilorin on 1st February, 2018, he had worked at Wesley University of Science and Technology, Ondo (2013-2016) and Osun State University, Osogbo (2017) where he served in various capacities. He has attended several international and local conferences, workshops, seminar and training. 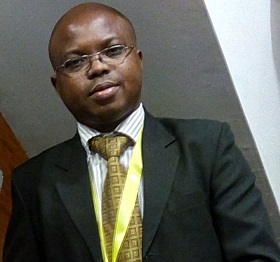 Dr F.J. Fawole is happily married with children.